Things are really beginning to fall into place for RIM. One area where BlackBerry appeared weak was with the number of available apps in BlackBerry App World. RIM CEO Thorsten Heins has stated that the size of an App Store doesn't matter and that RIM plans to carry the top 200 to 400 apps in each country and region. 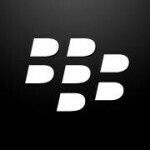 It is estimated that 70,000 apps will be available by the time the BlackBerry Z10 and BlackBerry X10 are launched. In an effort to add more apps, RIM held three Port-a-Thons where Android developers could receive $100 for each of their apps they submit to BlackBerry 10. In addition, RIM handed out its BlackBerry 10 Dev Alpha all-touchscreen phone to developers and plans on launching one for its BlackBerry X10 model with a physical QWERTY on board, sometime after January 30th. The first time in mid December, 4,000 apps were submitted. In the middle of this month, 15,000 more were sent in over a 37 hour period. That was followed by the last Port-a-Thon which just ended with 19,071 apps sent to RIM in just 36 hours, according to a tweet sent out by RIM. That works out to 529 apps per hour or $52,900 from RIM's coffers. Meanwhile, while the U.S. markets were closed on Monday to observe the birthday of Dr. Martin Luther King Jr., Canadian markets were open and the continued good news about RIM topped by the video we showed you comparing the BlackBerry Z10 quite favorably with the Apple iPhone, got investors in a buying mood. Last week, we showed you the Island Reversal on RIM's stock chart which is a bullish pattern. On Monday, the shares soared nearly 11% to close at $17.41 CD, up $1.70 CD. Of course, RIM has a long way to go to reach its all time high which was above $140 USD in 2008. I bet all the BB10 haters feel silly now. All of this is happening before it even releases. If just the leaks and demos are getting people excited, you can only imagine how the official release will get people going. This is bad news for NicolasOliver....! Soaring faster than Nokia even before release. Good sign. so where are the blackberry haters at? Seems me and a few others on here werent the only ones liking what we saw recently...lol. Ppl forgot......before everyone called all smartphones an iPhone....they called them all Blackberries.... My daughter wanted a Blackberry first, then iPhone before she started liking Android. She was 11 or 12 at the time... Still a big Android fan.....but its always good to have other choices you may want if you ever decided to switch. It was WP.....now its WP and Blackberry. Sorry iPhone...I tried ya. You ok....just not my cup of tea. You got real nice looking apps tho.